So. I never thought I’d be a tattoo person, but here I am, with 4 of them on my body and definitely more to come. I remember a big deterrent to me getting my first one was healing time and process. I was scared it was going to get infected and absolutely unsure about what to do. Tbh, I was a drama queen and it was a literal line on my wrist (a wave that you can see in many of my early IG posts since I held up my food always), so it healed in no time. But over the years, as my tattoos got bigger and bigger, I’ve found more natural ways than petroleum jelly and Dove antibacterial soap (two products I’ve absolutely stopped using). Try to find a tattoo place that doesn’t use Saran wrap. Places like Lucky’s in Boston (and many others as well!) use a medical grade bandage that looks like Saran wrap, but actually stays on, allows your skin to breathe, and helps speed up the healing process. Don’t scratch it. Guilty of this. But try not to. As your tattoo heals, it may begin to itch, which is normal. I’d recommend apply aloe vera gel to help alleviate that, or continue applying the Medicine Mama’s. Keep it moisturized. Even after it’s healed, keep it moisturized to prevent it from cracking. I like putting Nutty Life Organic Body Butter on it before bed. Disclaimer: The links leading to Amazon are affiliate links; I get a small commission if you shop those, but it doesn’t change the price. Thank you for supporting this blog! You can buy Medicine Mama’s on Amazon, Costco, and Whole Foods. 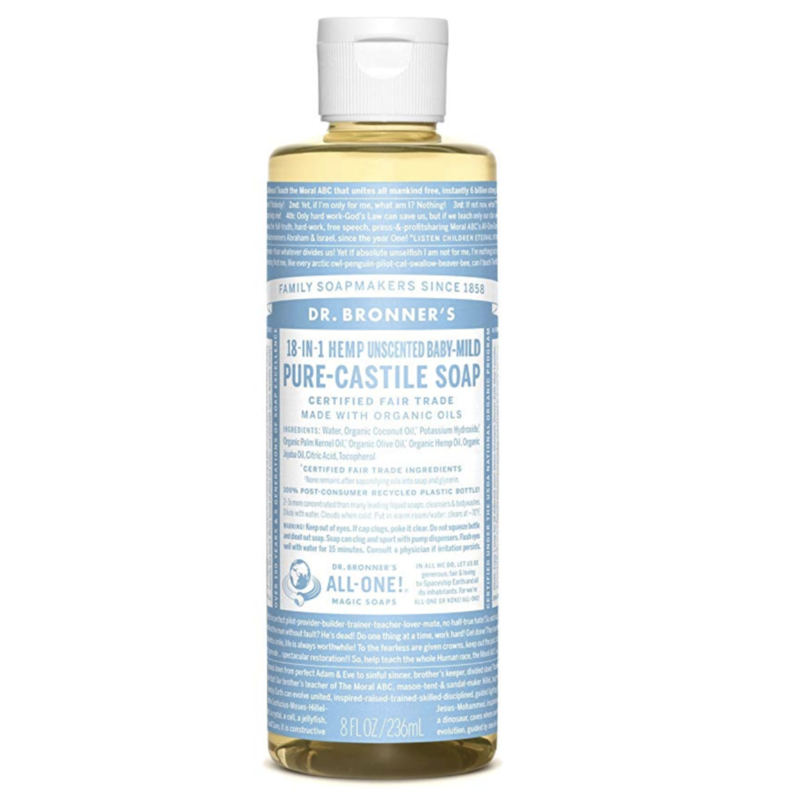 You can buy Dr. Bronner’s on Amazon, Costco, Whole Foods, Target, and more.